Researchers at MIT have developed a method of using light pulses to control the electrical properties of a sheet of graphene. 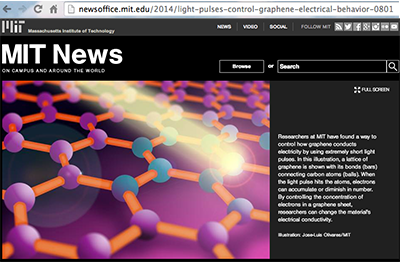 Short light pulses were found to change and reveal graphene’s electrical response in only a trillionth of a second. The discovery by graduate student Alex Frenzel, Nuh Gedik, and three others, could allow ultrafast switching of conduction, and possibly lead to new broadband light sensors. The findings have now been published in the journal Physical Review Letters. MIT also noted that the work received support from the U.S. Department of Energy and the National Science Foundation. 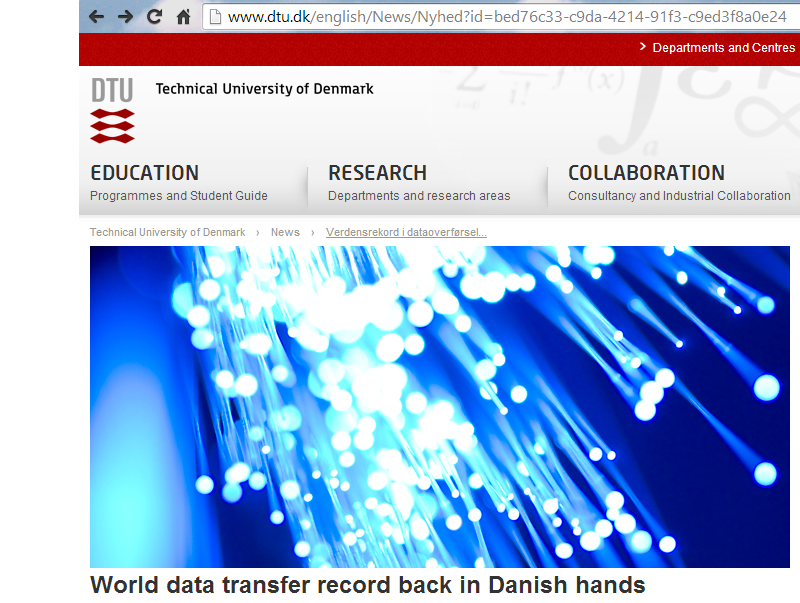 Researchers at the Technical University of Denmark (DTU) have achieved an optical transmission speed of 43 terabits per second ( 43 Tbps) using a single laser and a single fiber. The demonstration used a new type of optical fiber (developed by NTT) that contains seven cores (glass threads) instead of the single core used in standard fiber. DTU noted that its researchers have previously helped achieve the highest combined data transmission speed in the world—an incredible 1 petabit per second—although this involved using hundreds of lasers. A method to remap the non-linear DIMM address space back to linear address space used by the driver. 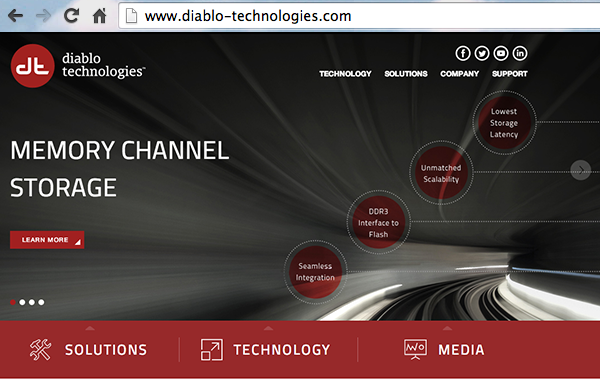 In addition, Ottawa-based Diablo Technologies announced the opening of an office in San Jose, California. Diablo Technologies has developed a Memory Channel Storage (MCS) technology that provides tens of terabytes of ultra-fast NAND flash storage in a DIMM form factor, and enables it to interface with the CPU via DDR3 at near-DRAM speeds. The company says its Memory Channel Storage allows for extremely large "big data" sets to be placed entirely within the NUMA system architecture, resulting in real-time processing and analytics. MCS significantly minimizes storage latency and provides a level of predictability that cannot be attained with pre-existing flash storage technologies. With the MCS architecture, systems in big data clusters, such as Hadoop, have access to terabytes of deterministic, ultra-low latency persistent memory.